GMRI’s work in understanding and treating strawberry birthmarks has received international acclaim. A strawberry birthmark, also known as haemangioma, is a benign vascular tumour that grows rapidly for about a year after birth. 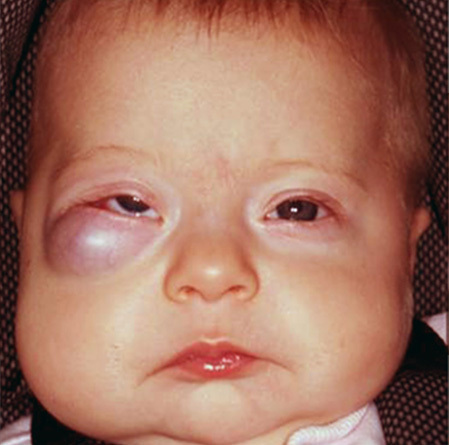 It affects 10% of children and is not only disfiguring, but can also threaten their bodily functions and even their life. The tumour spontaneously regresses over the next 5-10 years, often leaving a fatty lump. Traditionally, strawberry birthmarks were treated by harsh medications such as high-dose steroids, interferon or chemotherapy, and/or invasive procedures such as plastic surgery or laser therapy. These traditional treatments are unpleasant, invasive, costly and usually take many years. Dr Tan and his team at the GMRI discovered the genes that control the growth and regression of strawberry birthmarks. They found that stem cells arising from the placenta are the origin of strawberry birthmarks, and they have learned how to manipulate these tumour stem cells so as to cause them to self-destruct. In a world first achievement, the team led by Dr Tan and collaborators succeeded in transforming strawberry birthmark stem cells into fat cells, bone cells and red blood cells. They also discovered that these stem cells are regulated by the renin-angiotensin system, a hormone system. These ground-breaking discoveries underscore the new treatment of strawberry birthmarks such that these disfiguring and sometimes dangerous tumours can now be treated inexpensively in a matter of months, rather than years, with children gaining a better quality of life. The new treatment is much cheaper, faster, more effective and produces fewer side effects than traditional treatments. It also has major potential implications for the treatment of cancer. 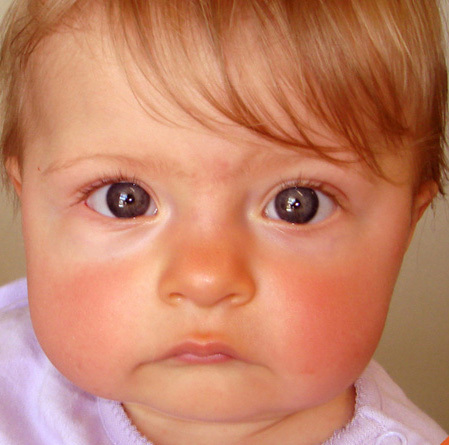 Baby Charley-Jean has a strawberry birthmark affecting her cheek and eye. Five months later the birthmark is gone! Imagine if we did this to cancer!